Artists, Even Game Developers, Are Weird. That's A Good Thing. Video games have their rockstars. But they're not the same kind of rockstars as the ones who strut around in dresses made of meat or go on talk shows to argue about their Twitter feuds. Compared to pop music or Hollywood, games often seem like they have a culture of celebrity that's far more subtle. Nonexistent, even. But that's only when games aren't stirring up the passions of their most zealous players. Unless his or her shoelaces are tied together, one of the key developers on a Call of Duty game probably has an easier time walking down the street in New York than Kanye West or Lady Gaga. Just wait until he or she implements a small tweak in the game's weapon systems, though. Then the floodgates of fandom will burst open with the most vitriolic of sentiments. Even in a dramatic case like that, the fans aren't upset about by the character of the developer himself. They're pissed about what he had done to the game. And that's a key difference: game developers often remain hidden behind the games they've made. There's something nice about the implication that they will let the work speak for itself as a result. Yet fans and critics both get frustrated when this means there's nothing interesting to say. I've met enough developers at this point to know that they have a lot in common with any other kind of artists. In private, they're often outspoken and eccentric. But as my colleague Jason Schreier has observed, the things many people are willing to say publicly are usually much less provocative—if they're willing to say anything at all. Would it be better if video game companies relaxed whatever tight-lipped standards they hold their employees to and instead encouraged them all to let their freak flags fly? I mean "better" in a very literal sense here. Would we, as gamers, enjoy games more if we could see deeper into the recesses of the delightfully twisted minds who make these things? A recent article in The Atlantic posed a similar question about musicians based on new academic research into how the eccentricity of artists shapes opinions about their work. For the new paper, published in the European Journal of Social Psychology, Wijnand van Tilburg, of the University of Southampton, and Eric Igou, of the University of Limerick, conducted several experiments. First, they showed participants an image of Van Gogh's Sunflowers and told half that the painter was believed to have severed his own ear lobe. Viewers with this information liked the painting more. In another, participants looked at three pieces of art, and half were told that the (fictional) artist was personally eccentric. These subjects liked the works better and were willing to pay more than four times as much for them. The takeaway here is: if an audience felt that an artist is more of an authentic character, they took an increased interest in his or her work. Just as people preferred Van Gogh's paintings once they knew about his tendency toward self-mutilation, they became bigger fans of Lady Gaga once they saw her most colorful outfits. 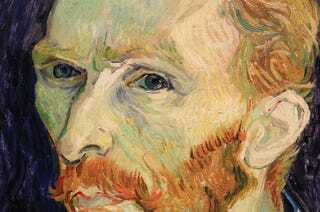 Both Van Gogh and Lady Gaga's work is inextricably linked to our sense of who they are as people. It's hard to find a similarly personal angle into Call of Duty since any game produced on that scale is made by hundreds (if not thousands) of people working in multiple studios around the world. That doesn't mean the people who make any given Call of Duty game are any less interesting, however. I mean, just look at Rockstar. The company has made one of the most commercially successful franchises that's ever come out of the game industry, and the cast of characters who made Grand Theft Auto what it is today are now legends in their own right. And it's not like video games don't have their own set of divisive figures. But for every Ken Levine or Jonathan Blow, there are countless developers who stay buttoned up. This can lead to moments of profound confusion or miscommunication—something I experienced firsthand when trying to talk to Nintendo developers about their work on Mario Kart 8. I'm not saying that Shigeru Miyamoto should do his next press conference wearing an outfit made entirely of raw animal flesh. But I'd love to hear more about what drove him to make Super Mario 3D World than the simple fact that he wanted to create another fun game that everyone could enjoy. The sad irony in rereading this now, however, is that three months after it was published, Fish abruptly cancelled work on Fez II in response to a caustic exchange on Twitter. As of this writing, the game's future remains unclear. Which is a shame, because the original Fez was a truly great game. I've never met Phil Fish, so I can't speculate about his motivations or plans for Fez II. But I can't help but wonder if part of the reason he's been such a lightning rod for controversy is because, as Plunkett observed, there are so few developers willing or able to take such similarly strong stances on any topic. Video games do need more decidedly outspoken and eccentric characters like Fish. But the thing is: he can't be the only one. We just don't hear from many others. Yannick LeJacq is a pretty peculiar fellow himself. Weird out with him on email at yannick.lejacq@kotaku.com or on Twitter at @YannickLeJacq.